And voila -- a half-gallon appears on your doorstep, right? We’re not at the genie-in-a-bottle point in technology yet, but Google and Walmart have officially launched their make-life-easier initiative using Google Assistant in tandem with Walmart’s grocery pickup and delivery -- a plan that’s spent the last year and a half in the incubator. “With the new voice ordering capabilities we’re building across platforms with partners like Google, we’re helping customers simply say the word to have Walmart help them shop … literally,” blogged Tom Ward, Walmart U.S.’s senior vice president of Digital Operations. Ward noted that the service is currently in limited release, but he has intimated that the new functionality will help consumers quickly shop for the items they need. Walmart’s timing couldn’t be better. Ranging from Sony and LG TVs to Guess watches, Google Assistant is integrated into an insane number of digital devices. According to 9to5Google, that number increased 600 percent over the past year and is on target to be part and parcel of 1 billion devices by the end of 2019. Make sure you have Google Assistant installed on the device you use most often. For most consumers, that would be the phone. While Assistant is “cross-platform,” it’s not necessarily a given that it will be on every brand. iPhone users, in particular, should double-check to see if it’s installed on theirs. Invest a few minutes to better understand how Walmart and Assistant work together. You can visit the Walmart overview on Assistant’s site, or watch Walmart’s how-to video. To jumpstart your Assistant’s connection with Walmart, do a simple command like “OK Google, ask Walmart to add bananas to my cart.” That will get the ball rolling in the right direction. Don’t worry about doing it all in one sitting. 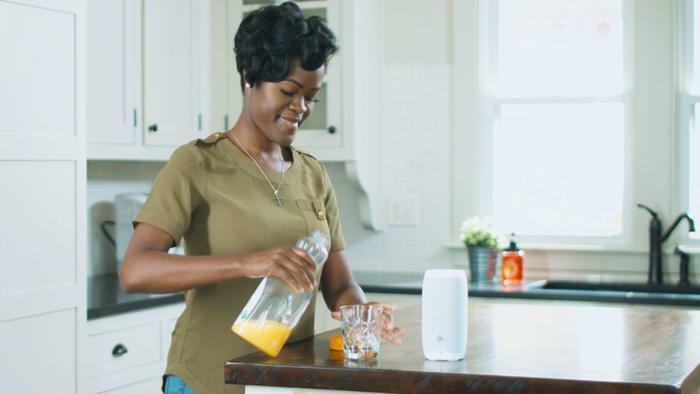 “We know when using voice technology, customers like to add items to their cart one at a time over a few days -- not complete their shopping for the week all at once. So, this capability aligns with the way customers shop,” Walmart wrote. Are Walmart and Google in an exclusive relationship? Technology partnerships have to start somewhere, and Walmart chose to dance with Google first.